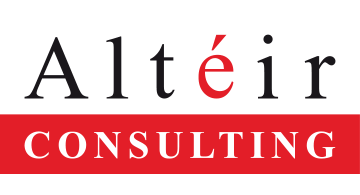 Alteir Consulting is a French based leading independent strategy and innovation advisory service firm, mainly focused on the payments and digital finance industries. For the last 15 years we’ve had the opportunity to work across the complete value chain helping telcos, banks, insurers, new incumbents and start ups to define new strategies & products, to launch new businesses and to manage major international projects in the payment & digital finance sector. Alteir’s footprint is mainly on continental Europe, with a clear focus on France, Germany and Spain. Customers include French banks, Pan European issuers and acquirers, Orange, Vivendi, SFR, Virgin Mobile, Generali, Allianz, GMF, Visa and PCS Mastercard. Alteir Consulting is a board member of Acsel, the leading French digital economy association, which gathers around 150 companies of all sizes in the French digital space. Alteir’s CEO, Laurent Nizri, is ACSEL’s Vice President and leads its Payment & Fintech Club since 2011, a highly recognized think tank on those economic sectors with all key market players. He is also the founder of Paris Fintech Forum.